File Photo—A pile of Bitcoins are shown here after Software engineer Mike Caldwell minted them in his shop on April 26, 2013 in Sandy, Utah. 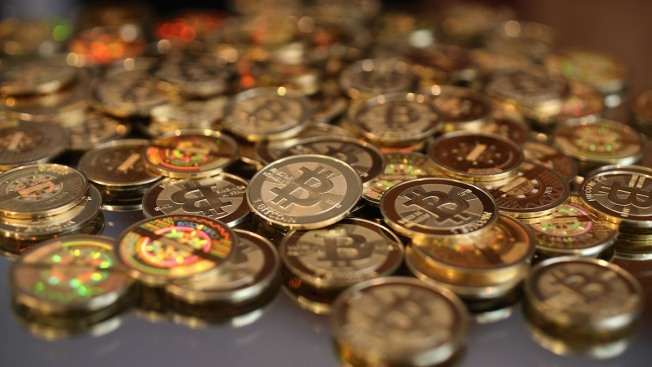 Companies are stockpiling bitcoins in preparation of future "ransomware" attacks, which have grown exponentially over the past few years, NBC News reported. According to cybersecurity experts and firms, about a third of British companies in 2016 retained a cache of digital monies as part of a strategy to "regain access to important intellectual property or business critical data." They keep Bitcoin on hand — which currently exchanges for about $1,800 per unit — because government agencies don't necessarily have a fix for institutions once hackers have taken hold of their files, and its cybercriminals' preferred payment method. The most recent cyberattack, known as "WannaCry," took hundreds of thousands of computers' data files hostage unless users paid a $300 to $600 ransom via Bitcoin.